In the past, the Congress had fielded T N Seshan, Rajesh Khanna and former state DGP P K Dutta from this high profile seat against BJP stalwarts like L K Advani and A B Vajpayee. 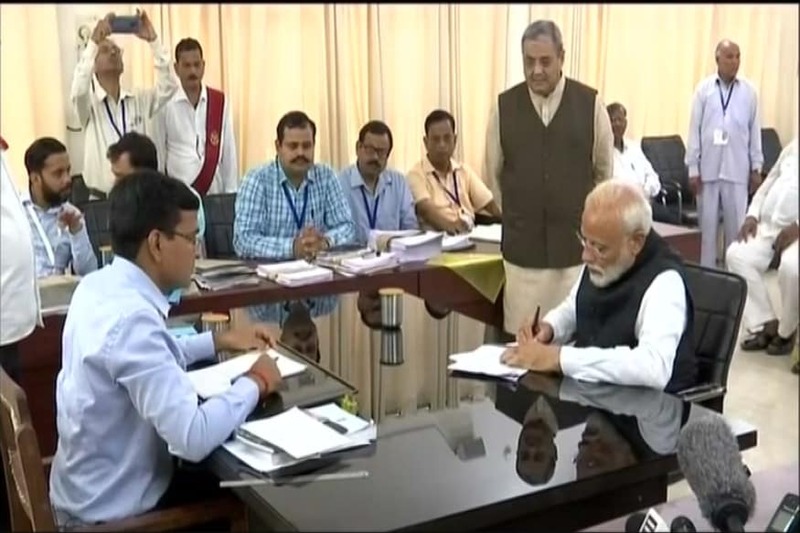 Gandhinagar: The Congress, which had in the past fielded popular figures like former CEC T N Seshan and actor Rajesh Khanna from Gandhinagar Lok Sabha seat, has this time given ticket to its two-time MLA, C J Chavda, for whom taking on BJP chief Amit Shah seems to be an uphill task. There is a talk in political circles that although the seat has been a BJP bastion from 1990s, a strong opponent could have given a tough fight to Shah. Shah has replaced veteran BJP leader L K Advani had won the Gandhinagar seat six times. 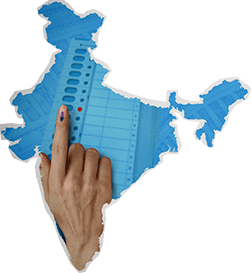 The constituency has the highest number of 19.21 lakh voters among all the 26 constituencies in Gujarat. 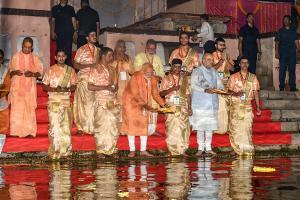 It comprises seven assembly segments- Gandhinagar North, Kalol, Sanand, Ghatlodiya, Vejalpur, Naranpura and Sabarmati. In the 2017 Assembly elections, the five urban seats - Ghatlodiya, Vejalpur, Naranpura, Sabarmati and Sanand - went to the BJP, while the two semi-rural constituencies of Gandhinagar North and Kalol were won by the Congress. Chavda, an MLA from Gandhinagar North seat, belongs to the Thakor community which has been a strong supporter of the Congress. Chavda, a veterinary doctor, who went on to become a deputy collector before joining politics, believes that the fight is between the Congress and the BJP and not Amit Shah and him. "Do not call it a fight between Amit Shah and C J Chavda. This is a contest between the Congress and the BJP. If he is the national president of the BJP, then why did he choose the so-called safe seat in Gujarat. He could have contested from a challenging seat," Chavda said. "Our leaders had come to Gandhinagar recently (on March 12) and held a mega rally in Gandhinagar, which was attended by lakhs of people. The rally has shown that everything is not right for the BJP in Gujarat. We will give a tough fight to the BJP," he added. Shah has earlier said that fighting election from the Gandhinagar seat, where Vajpayee and Advani, had contested and won, was a matter of pride. He also belongs to the same region, unlike the other two leaders. In the past, Shah had won the Gujarat Assembly elections four times from Sarkhej constituency (before delimitation), and once from Naranpura seat (after delimitation), both of which are part of Gandhinagar Lok Sabha seat. In the past, he had acted as in-charge of Gandhinagar Lok Sabha seat for Advani, when the national leader was busy campaigning for the BJP in other parts of country in 2009. When Shah was asked about the chances of his victory during his road-show held last Saturday, he had said, "Look at the crowd in the road-show, which itself will tell you who is going to win the seat." In the 1999 general election, the Congress had fielded T N Seshan, former Chief Election Commissioner, credited for transforming the Election Commission (EC) in the 1990s, against Advani from Gandhinagar. Seshan managed to give a credible fight to Advani. Before that, in the 1998 Lok Sabha polls, the Congress had given ticket to former Gujarat DGP P K Dutta. Advani had won this seat for six times from 1991 to 2014, barring the 1996 polls when Vajpayee had contested from Gandhinagar as well as Lucknow. After getting elected from both the seats, Vajpayee had retained Lucknow, which had necessitated a bypoll here, in which Congress had given ticket to popular film actor Rajesh Khanna against BJP candidate Vijay Patel. However, Khanna had lost the election. A section of Congress supporters believe that had the party given ticket to a strong candidate, who is popular with urban voters, then the fight would have been interesting. After the announcement of Shah's name, the Congress had tried a search for a strong candidate here and even thought of fielding Patidar quota agitation leader Hardik Patel. However, as the court did not stay his conviction in a case, it was not possible, party sources said. "Our local MLA (Chavda) is a strong candidate for us to take on Shah. Though high profile BJP leaders are representing this seat since 1990, basic issues here are clean drinking water, affordable education, health care and jobs, which has been affecting the people of the constituency," Congress spokesperson Manish Doshi said. 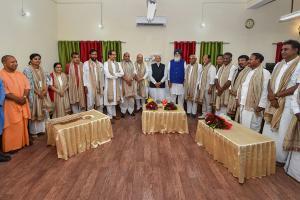 He also expressed confidence that the Congress will dent the BJP's prospects in Gandhinagar. For Shah, his trusted aide Harshad Patel is in-charge of his constituency. Party workers, including the youth wing, have been working hard everyday to canvas for Shah. The BJP chief has conducted two road-shows in his constituency, the first being on the day of filing of nomination form and the second one a week later- on April 6. He is scheduled to hold more road-shows and address public meeting. In the Gandhinagar constituency, maximum number of voters are Patidars, followed by Thakors. The Congress expects that Patidars may support the party after the quota agitation. However, it is unlikely to happen, which was visible in the 2017 state elections, in which the community supported the BJP. "Caste won't be a factor here as this is the stronghold of the BJP. People know that the party can provide development and security. We have shown our development works to the people," BJP spokesperson Bharat Pandya said. "Congress had lost the polls on this seat even before they put a candidate. Whoever they would have put BJP was sure to win here," he said.